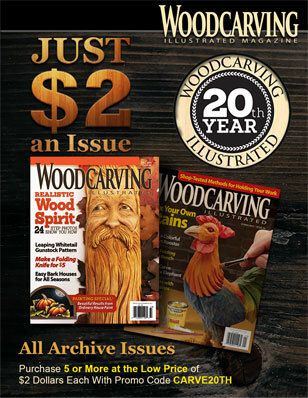 This article was first published in issue 38 of Woodcarving Illustrated. 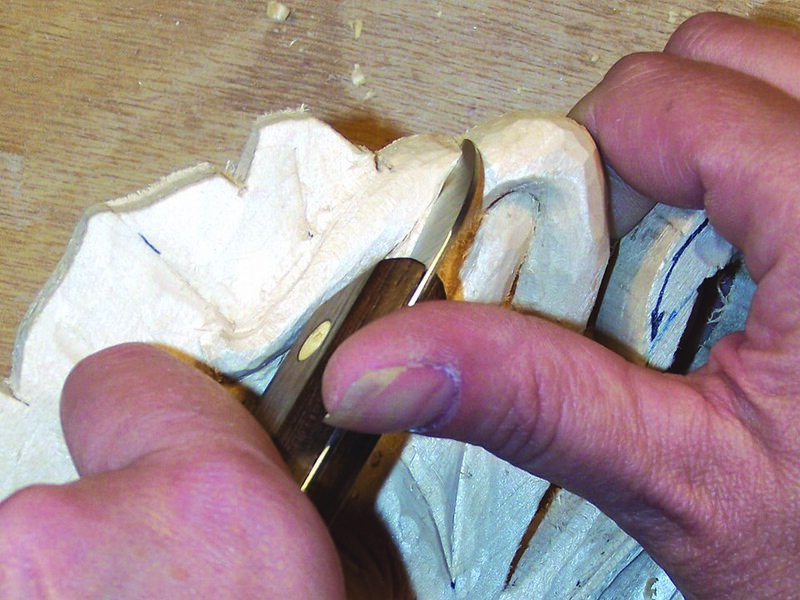 Clean joint lines are the first problem a budding relief carver runs into. 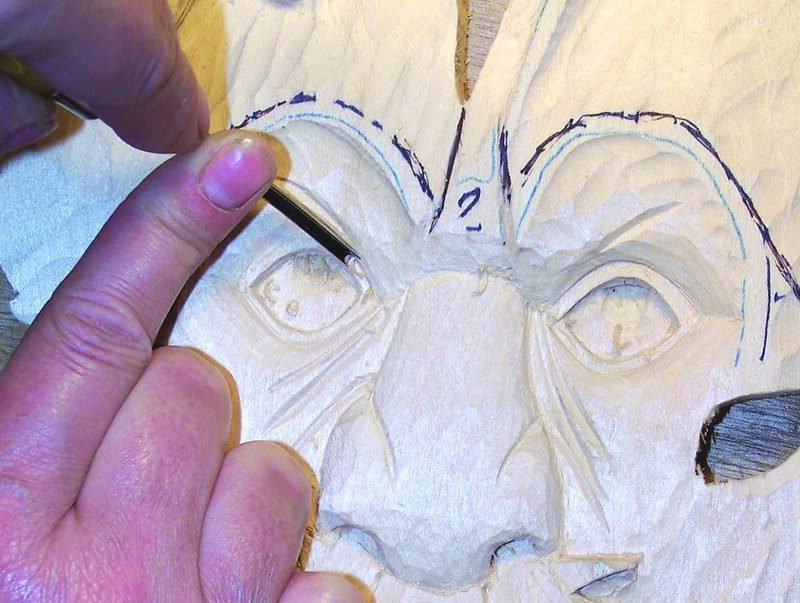 If your joint lines are not sharp and clean, the whole relief carving, and illusion of depth you are trying to create, looks muddy and unfinished. Clean, crisp joints are not nearly as hard to achieve as they look, once you understand the basics. 1. Make a stop cut along the joint line. 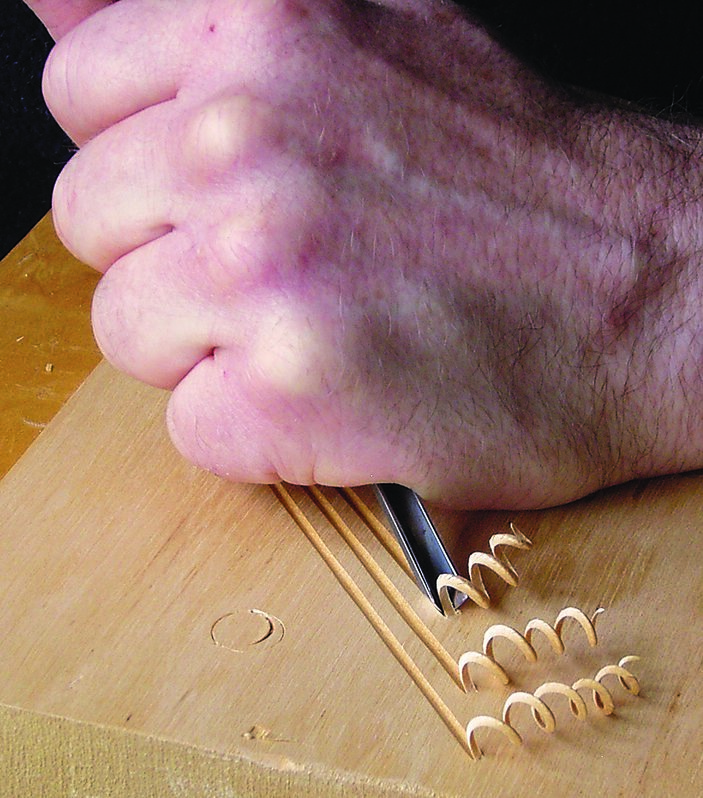 Hold your bench knife in an upright position. Pull the knife through the wood. Do not push it straight into the wood. Pushing can compress the fibers, which can uncompress over time and cause you problems. 2. Remove the chip. Slide the bench knife along the floor, or lower level, into the corner to remove the chip. 3. 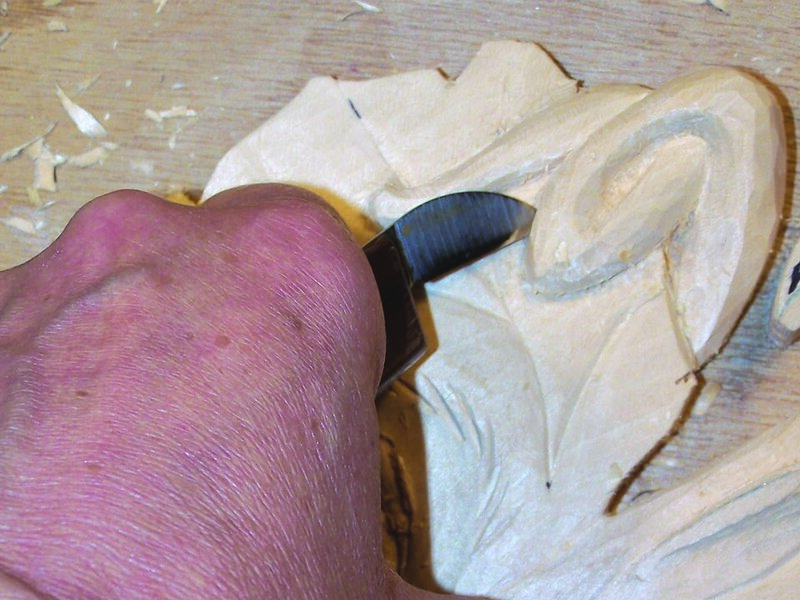 Smooth the joint line using a veining tool. When the joint lines or corner area is fairly open I will use a V-tool to start the joint. The V-tool will leave a softer joint line than a bench knife. 4. 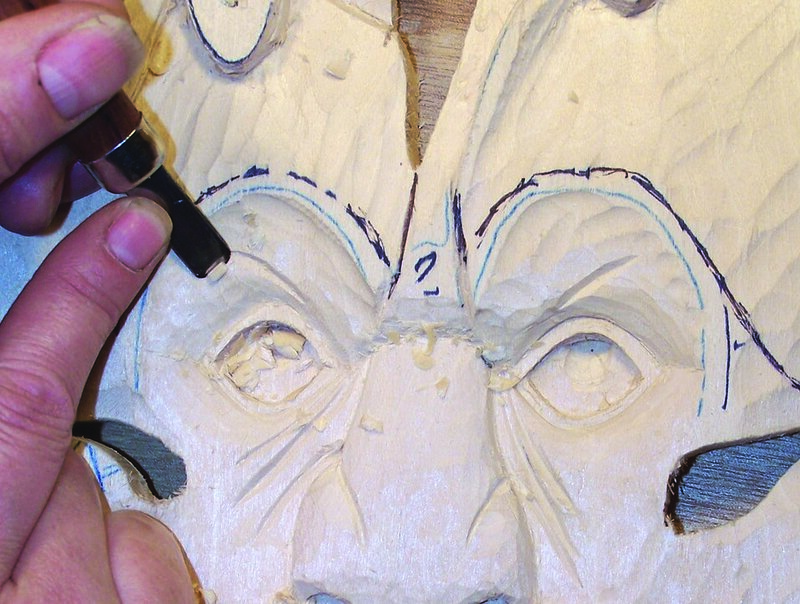 Use a V-tool to establish the cut along the joint in easy-to-reach areas. Hold the V-tool so the angle of the cut matches the slope of the surrounding areas. 5. Smooth the surrounding areas into the V-gouge groove. 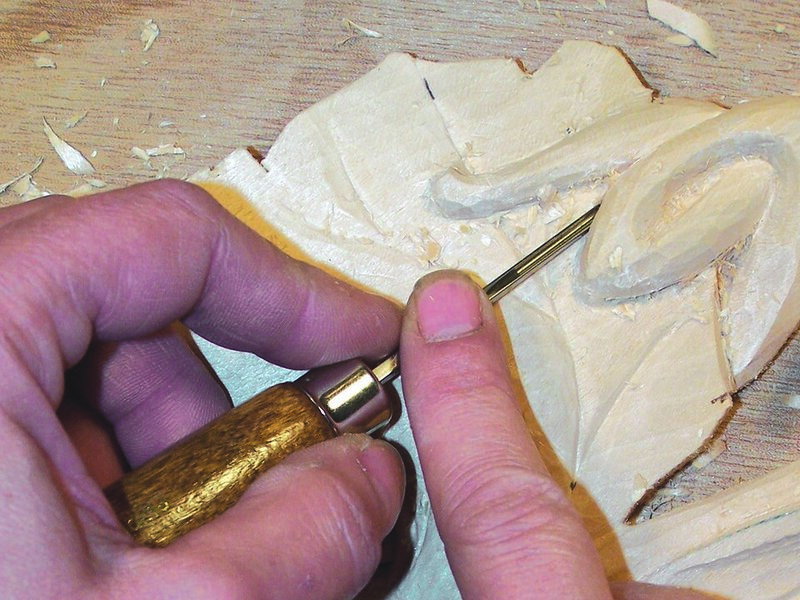 Use a wide sweep gouge or a bull nose chisel. Lay the tool down as close as comfortable to the surrounding areas so you just shave off the high areas. 6. Re-cut the joint line if desired. 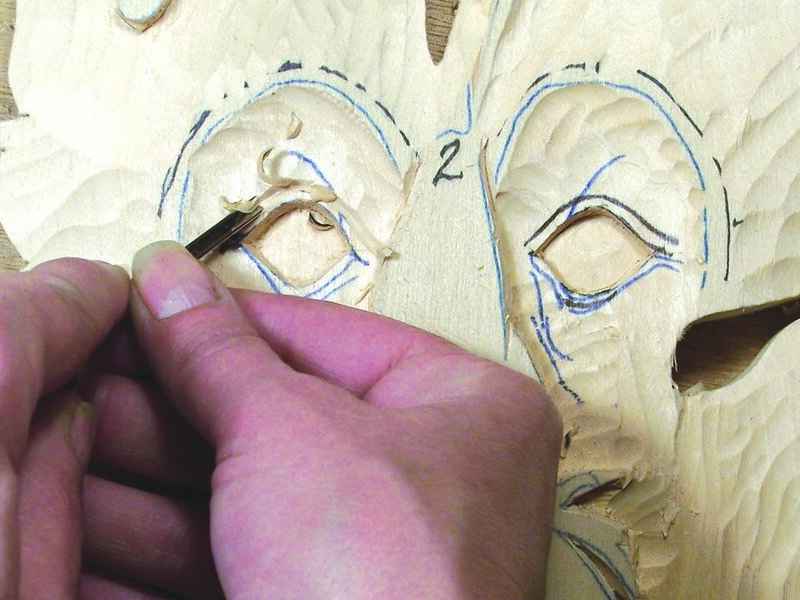 Once the area has been shaped, you can re-cut the joint line with the V-tool to deepen or sharpen the joint line. 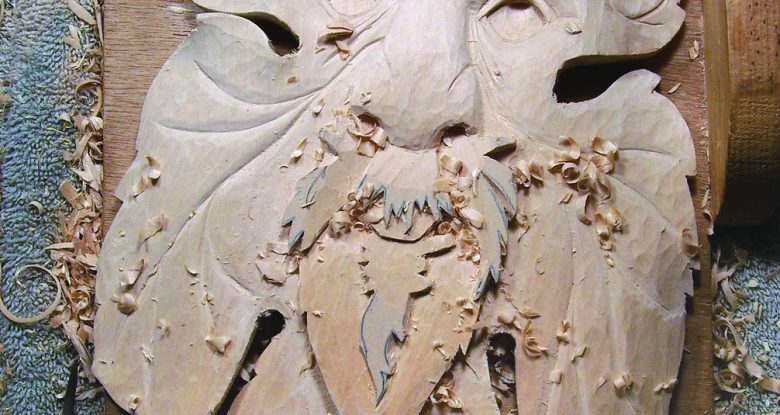 Lora S. Irish and her husband, Mike, operate a web-based carving pattern business. 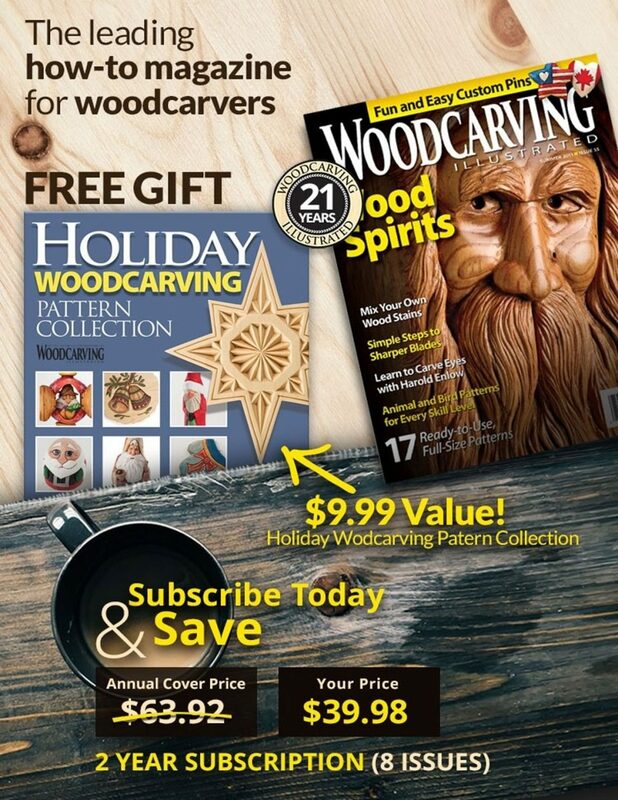 She contributes a regular relief column to Woodcarving Illustrated and has written numerous books for Fox Chapel Publishing. 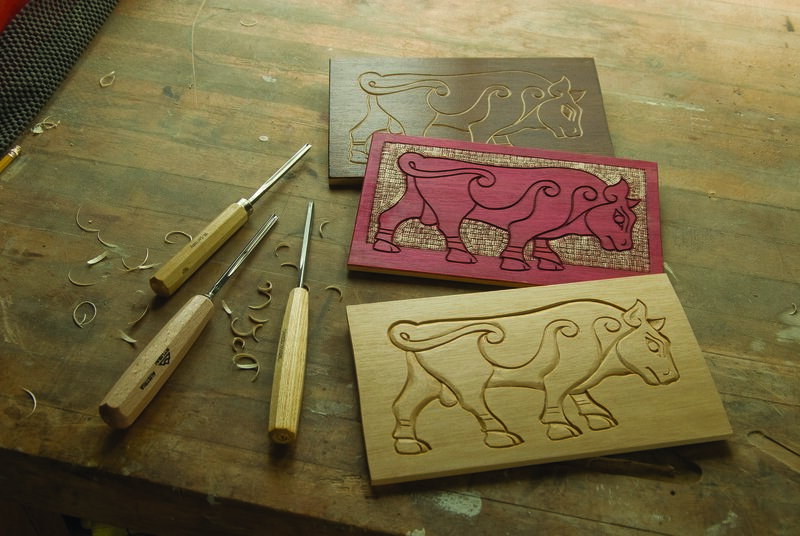 For more of Lora’s patterns, browse her website at www.carvingpatterns.com. Read more about techniques for beginners!